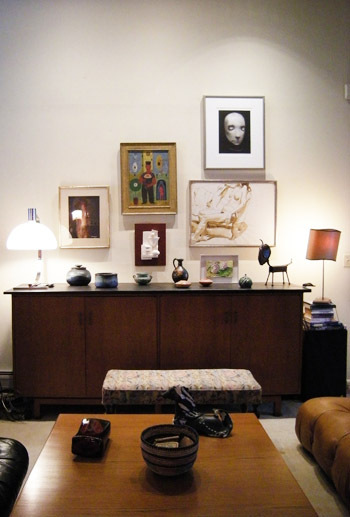 Artwork is a great way to add interest to a room, but arranging art can be stressful. Relax. My expert advice on how and where to hang art (and how much to hang), your home will feel like a gallery in no time. People have a tendency to hang art too high. The center of the image should be at eye level. In living rooms, people are usually sitting, so artwork should be lower. A good way to ensure you’re placing artwork at the right height is to hang it one hand width above the sofa.